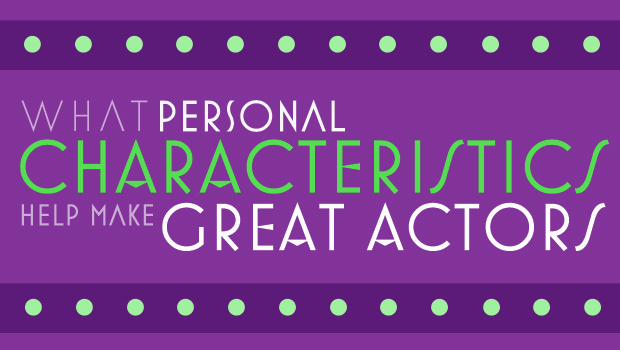 What personal characteristics help make GREAT ACTORS? This is probably a question that will intrigue a lot of people. What is it about certain people who make them great performers? Or at least have the potential to be a great performer. I know this question intrigues many of you, so I did some reading to investigate what qualities/personality types really translate into great performers. Charisma: This is one of those real surface qualities that you would expect. Obviously a performer is going to be charming, expressive, and charismatic, right? They’re those real life-of-the-party type personalities that you aren’t surprised to hear they’re actors as well. This is because performing on stage, or on camera, requires a certain amount of expressive energy, so those individuals with high-octanes of energy and the ability to translate that energy on-screen should go without saying. While not every actor is going to be the most charismatic personality type in their actual life, having a natural charisma to you will always benefit and help you with your performing endeavours. Hard Work & Commitment: This is another trait that should go without saying. Lazy people usually don’t make great actors — unless they’re so naturally talented and it comes easy to them. This is the case because acting is such a self-starter business and is going to require so much self-motivation, as well as endless amounts of your personal time in order to be successful. Also, with every job you get, you’re going to have to generously research for your role/character, as well as put in hours and hours of rehearsal time. Then once you start working on the job, the days are long and you’ll be drained at the end of them. If you don’t have the type of personality that is ready to grind and endure hard work, you will go nowhere. Commitment is also a huge one. You will have to commit your life to developing your craft, as well as bringing 100% percent of yourself to each role you play. Acting requires you to be present in the moment at every turn, which can be mentally, physically, and emotionally exhausting. People that can whole-heatedly commit themselves to something, even going overboard and becoming obsessive with their commitment, are the ones who will be successful as actors. (Just look at some of the greatest method actors in the business, as well as the great extremes that the best actors will go to in order to prepare for roles: weight loss, muscle-building, extensive research and character development, real-life situational training). Confidence: This personality trait is another common one. It will help in a lot of areas in your performance career, particularly in the early stages of auditioning, as well as warding off criticism and rejection when times get tough. Understanding who you are as a person and being confident in who that is will serve you well in the business. You will be required to expose many facets of yourself (emotional, mental, and even sometimes physical) in front of people, so being confident in yourself and being able to surge into those vulnerable places without shriveling into a ball of anxiety is a huge component of an actor’s makeup. Thankfully confidence is something that can be improved on. The better you get at your craft, the more confident you’re going to get in your abilities and the less self-conscious you will be. 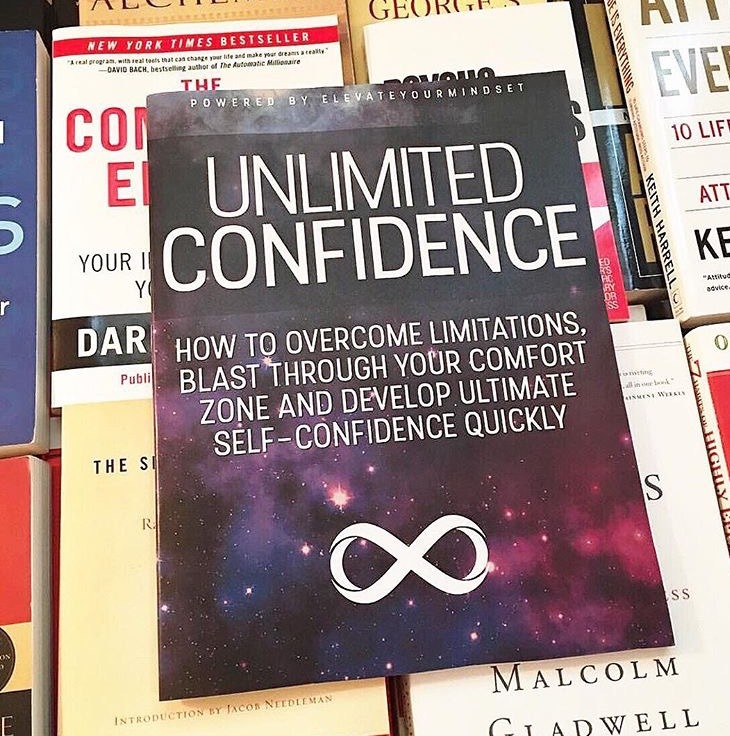 They famously say, “tension is blocked talent”, and often anxiety and nerves will come from a lack of self-confidence and dread that you’re going to be horrible. Those nerves will lessen with practice and working on your craft, eventually leading to performances that come across brilliantly, with absolute ease. So finding a way to be confident in your self, as well as your skills as an actor is absolutely paramount. Intelligence: If you listen to actors in interviews, you’re often blow away by how articulate and well spoken they are. They are smart and educated most of the time. But a good majority of actors out there are college drop-outs, that never even went to college, and a chunk of them never even finished high school. How come they seem so smart then? Well it’s for a couple of reasons. Firstly, their job requires them to do a ridiculous amount of reading and research on a wide-variety of topics that become school projects in their own way. So they’re well read and well schooled on important issues happening in the world because it often relates to the work they’re doing. Secondly, they’re actually really smart people. You have to be very smart to be a good actor. But often it’s the type of smart that doesn’t excel within confined institutions like high school and university or college. It’s the type of intelligence that you could define as emotional intelligence, self-awareness, or a real adept understanding and insight into human behaviour and what drives people. That’s because actors are constantly asking themselves these questions: what drives this character? What are their needs? What are their desires? Why do they act this way? It’s a constant evaluating and breaking down of the human psyche, which requires a large degree of intelligence. It’s just a very real-life understanding of human behaviour. So if you don’t find people fascinating, to the point that people watching is one of your favourite past-times and you’re feverously curious about all types of people, then the acting process may not be for you. Highly Imaginative: This is obviously one of the biggest and most important traits that make great actors. Sure there is a large component of acting that will require you to take emotion and realities from your own life into your acting world, but you won’t always have those resources at your disposal. Sometimes you have to completely plant yourself in alternate realities that encompass absolutely nothing from the world you know. This is where your imagination will take over. Most actors have wild and vivid imaginations, and have a real fostered connection with their imaginations. We basically are trained to grow out of our imaginations as we grow up, which is why most actors are adult-children — never really leaving the psyche of that 10-year-old boy inside of them who would dress up as superheroes and saw the world as full of infinite possibilities. It’s crucial that actors are constantly finding ways to improve and get more in touch with their imaginations, as it’s a huge tool in your career. From the early stages of developing your character, as well as planting yourself in an authentic reality when you have several cameras, crew, and a very artificial world surrounding you on set. Harness the connection to your imagination and work on improving it whenever possible. It’s one of the useful tools for great performances. Understanding of Human Behaviour: This section relates directly with intelligence, as this is where the actor’s intelligence will shine. The best actors have an exceptional understanding of human behaviour – what people want and need, universally, on the deepest level. This is what every single role they tackle will require from them — the ability to dig deep into the psyche behind their character and figure out their motives, which will determine their behaviour. They have the ability to read between the lines of scripts and offer their own insight into the world of their character and bring assets to the script that weren’t there before. This understanding of human behaviour, I believe, is something that the best actors will have naturally, but it’s also something they strengthen by continuous exercise. Every actor should have a completely engrossed interest in people and the way the act. The job of an actor is to emulate people who aren’t themselves, so it should go without saying that they love to observe people and watch what they do, and then try to figure out why they do the things they do. Energy, Energy, Energy: When you take an acting class, the beginning of the class is often dedicated to exercising the body — both physically with movement and vocally through voice exercises. These exercises are designed to center the energy in your body and for you to be fully aware of where all the energy in your body is being stored. 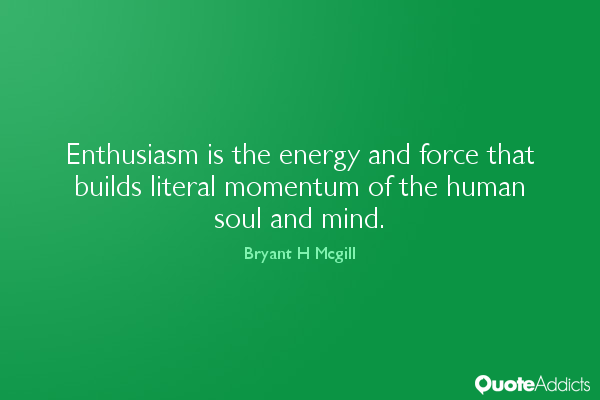 Yes, actors are required to exert a lot of energy, thus it’s beneficial if they’re naturally energetic people. But that energy will be chaotic and counter-productive for a good performance if it’s not used in the correct way. The best actors are exceptional at dispensing and controlling their energy. They know when to release bursts of energy, as well as when to bottle the energy up because their character is holding something back on the surface, but on the inside they’re exploding. So it’s so important that actors know how to move the energy in their body around to help guide and emphasis their performance. Also, it’s important to note that not all energy is going to be emotionally expressive. They’re forms of energy that are not emotional, and it’s important that actors have a handle on all energy types. Introspective & Constantly Learning: One of the most important relationships an actor will ever have is the one they have with their self. It’s essential that actors are constantly learning about themselves and trying to understand more about who they are as a person. They will also go to great lengths to improve who they are as a person and get more in touch with their authentic self. This is necessary, as acting requires bringing a large amount of yourself to every character you play. You will to make the emotion in your performances feel authentic. If you don’t actually feel all the emotions and sensations that your character is going through, the camera or audience will pick up on it and it won’t be believable. The great actors are able to dig deep into themselves and pull out the good, bad, and ugly of who they are and put it on show for everyone to see. If you aren’t willing to live with that type of revelation and truth in front of audiences, then acting will be a tough job for you. You can’t be afraid, or unwilling to go to the dark and emotional places of yourself and become a great actor. Actors have to constantly be assessing themselves as people, trying to improve, as well as get closer to who they really are. 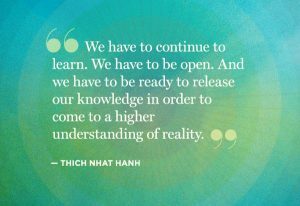 Another way to get closer to this truth is by constant exercise through meditation, mentors, relaxation, visualization, and classes. Eager to Explore: Most actors life out of a suitcase and are constantly on the road. A lot of them are feel best in the characters they portray. They’re whimsical spirits, with a yearning for a gypsy life. This obviously relates to the lifestyle of an actor — constantly going from project to project, place to place, changing where they’re working and whom they’re working with all the time. There’s absolutely no structure (unless you’re a regular on a show) and you’re constantly exploring, both a physical world and the emotional world you’re living in. It’s definitely important that an actor has a natural tendency to be drawn to this type of life, as opposed to a very structured and matter-of-fact world where most people live that work the 9-to-5 routine. Going deeper into it, acting is a constant exploration and is going to require a real commitment to a journey by the actor. You have to be prepared to take scenes in directions you weren’t expecting, or let things they’re feeling come across at unexpected moments. A lot of actors live within a very small bandwidth, but the best ones are completely free. They trust their instincts and enjoy the work the most when it turns out different from first expected. So the exploring nature of an actor is going to be both, tangible and intangible. This is must in the makeup of an actor! Interest in Psychology and Humanity: This is not to say that a psychologist would make a great actor, or that an actor would make a great psychologist. But having an interest in the subject will go a long way in improving your performance. Again, understanding the psychology of humans and what drives people is essential in the acting discovery. So those people who are very intuitive and able to quickly conceptualize other’s behaviour and why they do certain things, is a natural skill that very good actors should possess. This also could be why you see so many actor humanitarians (also because they have so much money) but they have such a vested interest in humanity that they’re passionate about world issues, and really empathize with human suffering. It’s not that you have to possess every single one of these qualities to be a good actor, but it just seems that in the makeup of actors, often you’ll see, at least some, of these qualities, interests, and personality types. While a lot of these qualities are essential to great performing, they can be improved. Great acting happens when both the inner and outer self are portrayed at the same time (sometimes conflicting one another). So get in touch with yourself, reach deep into your emotions, and continue to discover more about yourself and more about your character in the process.